Once in a blue moon Memebox will create a Box of Fortune (previously known as Jackpot box). It's essentially a box full of products of an unknown value. I think I've only ever seen them make 3 or 4 fortune boxes, so they are rare. They also sell out fast too, so when one comes along, you best pick it up fast! The first fortune box was known as the Jackpot box. It's a little special for me because it was one of the first boxes I've ever bought from Memebox. The difference between the first Jackpot box and the ones after is that the first box had all of its contents and placements displayed. So you could see exactly what each box held. There were also 9 distinctive placements for the Jackpot box whereas, fortune boxes now don't have such clear placements. Anyways, this Memebox of Fortune cost $29 and you could have gotten as much as $200 worth of products, which is quite a lot. When I saw it on sale, I snatched it up right away. I also had a 15% discount code to use as well, so it was really worth it. (You can find current discount codes on the Codes/Deals page.) Let's jump in and see all the goodies I got as well as the total value of it! Here's everything that came in my box. It looks packed huh? I was really excited when I opened it. Although I also knew right away that I didn't get the $200 box, it still looks pretty good and well over what I paid for. I did my best to look up the prices on Memebox's website and for those that I couldn't find on Memebox, I looked elsewhere. Prices might vary as different sites sell the products at different prices. I'll share the box's total worth at the end, but for now let's get to know the items individually. 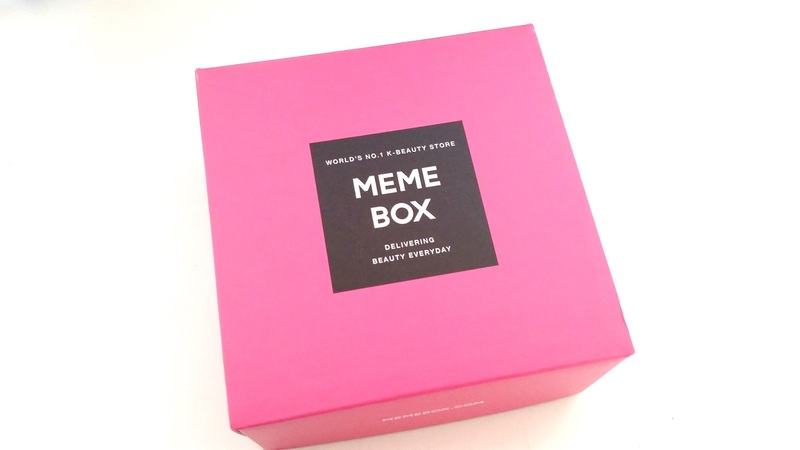 For those who don't know what/who Memebox is, they are are beauty box company based in US, China, and South Korea. They sell non-subscription boxes and Korean beauty products via their online website. They also sell their own line of cosmetics and skin care products as well. If you check my Memebox tag on the blog, you'll see all the Memebox boxes and products I've bought and reviewed. Product Description: A strawberry syrup wash off pack. It's rich in emollients to help enhance elasticity and provide a healthy glow. This wash off pack is formulated with strawberry extracts and Jeju honey extracts to help hydrate the skin while brightening it. My Thoughts: I love strawberries. I like eating them by themselves, on desserts, in smoothies, ice creams, etc. I also like strawberry products, but mostly only those that actually smell like strawberries and are good for the skin. If you've been following me for a while now, then you know that I like to give strawberry products a try. If they smell like yummy strawberries and do wonders to the skin than I will love them lots. However, it's pretty darn hard to find products that have those properties, especially since many smell like fake, chemically made strawberries. So, I was beginning to think that it'll be a super hard journey to find some yummy strawberry products. I went off on a tangent there, oops. 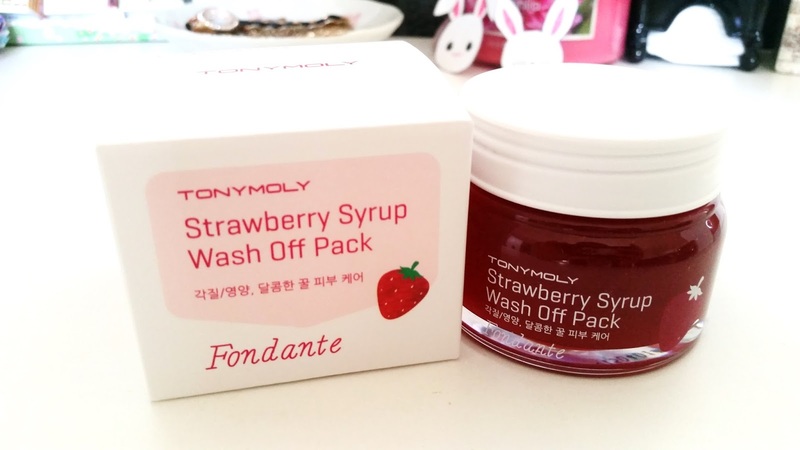 Anyways, I think it was meant to be that I got this Tonymoly Strawberry Syrup Wash Off Pack in my Fortune box because it smells delicious! It smells like candied strawberries, which is awesome! I'll be testing it soon, so I will report back on it. Product Description: A cleansing foam to help clear out pores and tighten pores. It's formulated with egg yolk extracts and licorice to help make skin smooth while keeping it free of gunk. My Thoughts: I didn't use to be so picky with my cleansing foams but in recent years that has changed. With my combo to oily, acne prone and sensitive skin, I always have to be careful with the products I use. It's hard to find a cleansing foam that cleanses my skin without damaging it. When I finally found one a couple of months ago, I knew I wouldn't want to change it for a long time. (It also came in a rather big container so it would last me a long time as well.) 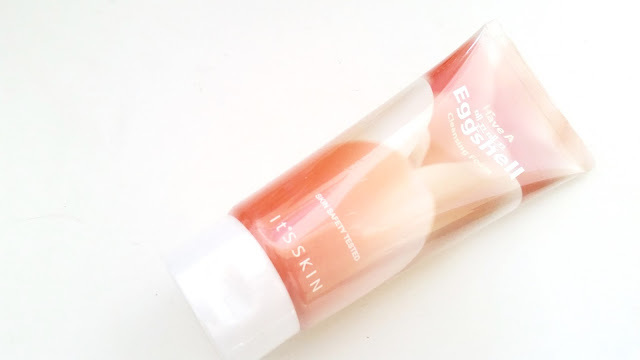 I think this It's Skin Eggshell cleansing foam will be given away to someone else who needs it. Product Description: A hydrating essence great for those who wish to add moisture to their skin. It's formulated with hyaluronic acid to help add moisture while brightening the skin. This essence will help create a 'barrier' on the skin to keep the moisture contained. It will leave the skin soft and smooth. My Thoughts: Oooh, shiny! What a pretty looking essence. 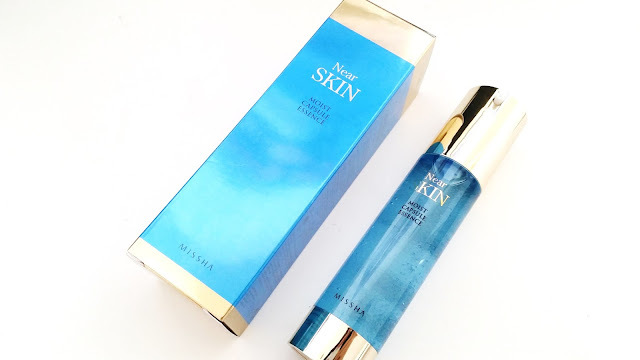 I've tried a few Missha products in the past and it's never truly wowed me or my skin. It's not that I dislike it or anything, but since I am always looking for my HG products, those just didn't make it on the list. I will say that if you are looking to try out the cushion trend, Missha's will be a good place to start. Finding a good seller could get you a Missha cushion for less than $10. Anyways, this Missha Near Skin Moist Capsule essence will most likely go to my mom. She's liked the few Missha products she's tried, so I'll let her try this one out to see how she likes it. Product Description: An adorable mild hand cream to keep hands soft and moisturized after each use. It's formulated with a mixture of herbs, shea butter and oilve extract to heal and soothe the hands. The Pink Dolphin Story has a natural floral fragrance. 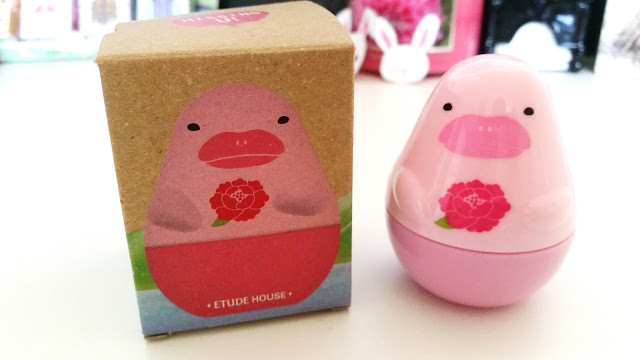 My Thoughts: Etude House and their adorable packaging always draw me in. I've been wanting to buy the Missing U hand creams for a long time now but only held back the urge because I seriously have enough hand creams to last me years. The hand cream smells lovely, it's got a floral scent that isn't overwhelming. The downside is that the hand cream itself is not moisturizing at all. I actually applied the hand cream twice, one after the other, and it still didn't feel moisturizing. The cream itself is very light though, so that might be the reason. I like the Etude House My Castle hand creams much better! The Missing U hand cream packaging had a lot of words on it and it was all in Korean so I had no idea what it said. After a quick search, I found out that these hand creams were made for a cause. The 4 Missing U hand creams are created for 4 animals that are endangered. These animals are penguin, dolphin, seal and panda. The philosphy behind this is that for every hand cream purchased, EH will make a donation to help save these animals. Neat huh? 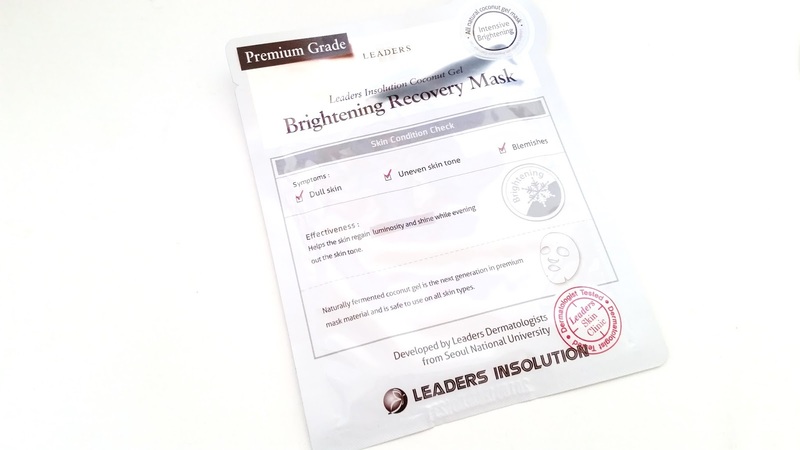 Product Description: This Leaders mask is an all natural coconut gel mask. It works to brighten and revitalize dull skin. It's formulated with various flower extracts, mallow extract, witch hazel and more to repair skin discoloration and provide vitamins to the skin. My Thoughts: I've yet to try a Leaders mask that I didn't like, so I have a good feeling about this mask. I've tried various brightening masks, so I'll be happy to see how this one compares to the rest. I will say that hydro gel masks takes time to get use to. I remember my first few hydro gel masks, I was like (wtf?) because they can be slimy. However, once applied and you sink into a relaxing mode, it feels so good. Can't wait to try this. Product Description: A vibrant liquid lipstick with a unique twist. It's got a cushion applicator. It's richly pigmented to help create that bold lip look. But if you are looking for something less bold, the cushion can help create various looks from a light tint to gradient and more. It all depends on how you dab. The product itself is formulated with shea butter to keep lips hydrated though out the day. My Thoughts: I'm glad this product came in my Box of Fortune so I can try it because I don't think I would have purchased it on my own. Cushion trends have become big these days and there's a cushion product for every line. From gel cushion eyeliners to cushion concealers and more, it's like a cushion storm. I really don't know how well all these cushion products will work (aside from the cushion BB/foundations because I like those) and I didn't want to chance $$ on it. However, now that I have it in my possession, I might as well play with it and see how it goes. Product Description: A unique BB cream formulated with snail mucin extracts. It can provide full coverage without looking cakey, while moisturizing the skin. It's got a decent sun coverage as well at SPF25, PA++. 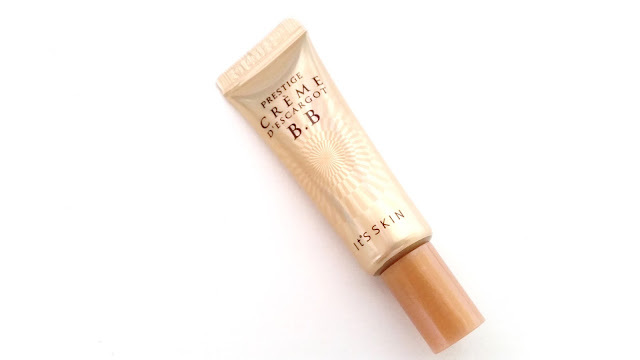 This BB cream can help correct blemishes and prefect skin tones creating a natural glow finish. My Thoughts: Snail products are selling like hot cakes these days. It's truly a difference from just a couple of months ago. I have a friend who really like this BB cream. It's not her HG but she likes it a lot. I did try it out and it's got a floral scent mixed with sunscreen scent, but the floral scent is stronger so it's not that bad. My sample was a bit separated when I first squeezed it out, but after a few squeezes, it looked fine. The product is a bit more liqudy than I thought it would be and contrary to what it advertises as, it doesn't really have high coverage. I would say it's light coverage but build-able to medium. This BB cream is also not right for my skin tone either but if I use a light layer it doesn't seem that bad. I'm glad I got a sample of this to try but it's not for me. I'm sure there are others out there like my friend who likes this BB a lot. A word of advise is to get samples before you buy the whole thing, just in case you don't end up liking it, you won't waste money! More samples? Yay? I wasn't expecting samples in this box to be honest. I won't count these samples (including the deluxe one above) in the final pricing. However, I was happy to see a Goodal sample, even if it's just one, because I've been wanting to try some Goodal products. I've tried the Holika Holika Skin & Good Cera cream before. The cream is thick and probably better for those with dry skin types. I tried mine in the winter times and even then it was a little too much for my skin. 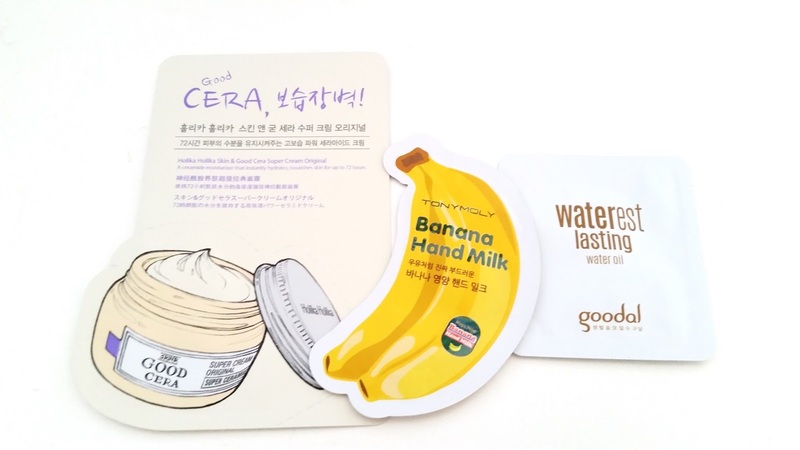 I don't have much to say for the Tonymoly banana hand milk. It's a decent hand cream but I also have a lot of hand creams so I'm not really in the market for a new one. I do eventually want to get one, maybe, since the full size is in the shape of a banana. I'm not the biggest fan of the scent but I don't hate it either. Finally, the Goodal sample. The small sample pouch was not enough for me to test how I feel of the product. I can't do my full patch test with it, so I might have to get more samples of it before I make my final decision. As a first impression, I found the scent interesting. It's herbal medicine like and reminds me of the Asian herbal medicine rooms where the keep stock of all the herbs. I wouldn't say I don't like the smell but it's not my favorite either. Final Thoughts: Remember how I paid less than $29 for this box (with my 15% discount code)? Yeah, well, this box totals to be about $85. Not bad huh? It's got a few products I want to try so I am excited for those. As for the products I know I won't use, I'm sure I'll find a good home for them. I think if Memebox made more Boxes of Fortunes in the future that looks to be of a good price, I would purchase it. 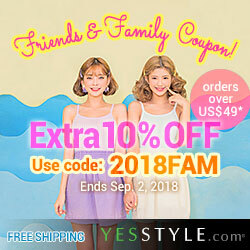 Visit my Asian Beauty Deals Page for coupon codes and deals!